She fell in love with him the day she betrayed him. 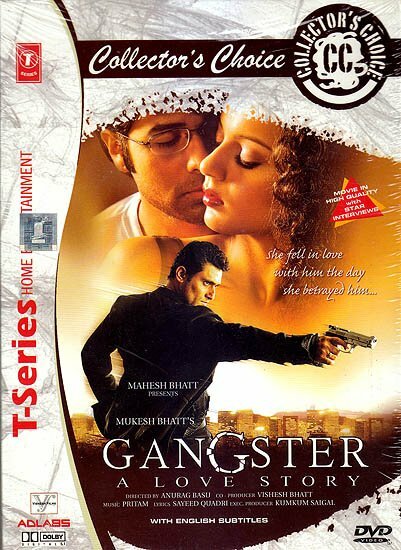 The human heart in conflict with itself is the life blood of all drama, gangster is one such tale. All is not well with Simran. She is young beautiful and a semi alchoholic spiraling towards certain doom when she has a chance meeting with Akash who is a singer in an Indian restaurant in South Korea. Their relationship graduates from friendship to passionate love. It is then that Akash learns of the demone that gnaw at Simons Simran has a sordidi poast. Not only has she journeyed from the bars of Mumbai to the far east but she is also the girlfriend of the dreaded gangster DAYA who is the most sought after underworld fugitive form India. When Daya discovers her relationship with Akash he promises to go straight in order to keep her and fulfill her dreams of a normal simple life. However life is not so simple and Simran discovers at that point that she is pregnant form Akash. What Simran does to solve the dilermma that she is in hurls into a firestorm that she could never have anticipated and now has to battle to be able to unite with the one man that she truly loves.